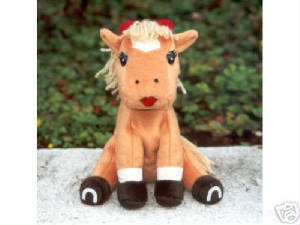 Happy Horse Products "Honey Horse" the cutest little female stuffed animal horse sitting 7" high with the cutest red lips and red bow along with her 2 magical horse shoes. Originally priced at $15.99. Great gift item... buy several and save on shipping!